For hotel and hospitality professionals, the advent of OTAs (online travel agents) has been quite a headache. For customers, the notion of being able to have a “one-stop-shop” for their booking needs makes this concept appealing, and this is reflected in the growing amount of the market share that OTAs are taking up. In fact, marketing forecasts expect OTAs to have 41% of the market share by 2020, closing in half. For those in hotels, though, this marks a frustrating sign, as with OTAs charging as much as 30% of commissions, every booking that goes through them as opposed to a direct booking means the hotel is losing potential revenue from each guest. Chances are you’ve probably seen some of the major marketing campaigns in favour of direct bookings, like Marriott’s “It pays to book direct” campaign. But what can smaller hotels do to avoid having some of their potential profits swallowed up? Parity agreements mean that hotels can’t undercut some of their OTA competition by promising lower rates for direct booking, but it is possible to give added incentives to people who are more likely to book direct. For example, offering a discount to your email list or to people who interact with you on social media is a great way to increase your rates of direct booking. Loyalty programs are also a good way to get recurring customers through discounts and other offers. Even if they plan on using an OTA at first, most clients are going to look at your hotel website to learn more about where they are staying. Placing CTAs (calls to action) in strategic and prominent areas is a good way to grab their attention and get them to book with you rather than taking an extra step and going back to the OTA. In some cases, people go to OTAs because it’s easier to get a booking done, and that should never be the case with your hotel website. Part of this is using CTAs, but you also want to make sure that your site is loading properly and quickly, and that the booking engine you use on your website is a seamless part of the overall booking experience. A lot of OTAs are purely digital, but some customers prefer having that human touch, and this is where you can excel. Online customer service channels and live chats can help you address questions that your potential guests have right away, offering a key advantage over OTAs. For smaller hotels, it may not be feasible to implement something like a loyalty program or a massive deal. However, what you can do is work on increasing the brand of your hotel to your local audience as well as specific subsets of travellers. This can be through something as simple as mentioning your proximity to an attraction or your stellar quality of service. A lot of smaller hotels do this anyway to position themselves against larger chains, but as a bonus, this can also get more organic interest in your hotel—which translates right into direct bookings. One thing that guests are always going to be looking for is positive reviews for your hotel, no matter how they end up doing their booking. This is why it’s a good idea to try and make sure that you have positive reviews placed prominently on your website to give your customer that confidence as they go through the booking process. Besides, this also helps with generally supporting your brand, especially when it comes to dealing with negative reviews. Even a negative can be spun into a positive if future customers can see that you were willing to resolve an issue with a customer. This addition may be a bit of a surprise for you. After all, a few years ago, many people felt that the conventional travel agent was going the way of the dodo. While it has declined from what it was decades before, travel agents are seeing a bit of an upswing, and a lot of it has to do with millennial travellers. Statistically speaking, millennials are more likely to use OTAs than direct bookings, but they are also more likely to use traditional travel agents as well. Some of the significant cited reasons include their knowledge of both deals and locations. If you as a hotel are willing to work with travel agents by allowing guests to book at loyalty program rates or with other benefits, this may open up a stream of non-OTA bookings for you. As a final note here, we can’t underestimate the importance of being able to see which of the above, or other initiatives, are working or not working when it comes to getting direct bookings for your hotel. As a result, make sure that you have analytics software on your site and for your sales to determine whether or not your initiatives are leading to success or not. You can’t expect to boost your direct bookings overnight, but if some time passes and you see little results, it may be a good idea to change your strategy. Ultimately, when talking about direct bookings, it’s important to understand that you can’t treat marketing-related options like you can the other options on this list. The reason for this is that everything on the list is contingent on successful marketing to get your potential guests to understand and see what you are doing, and why it’s worth their time. 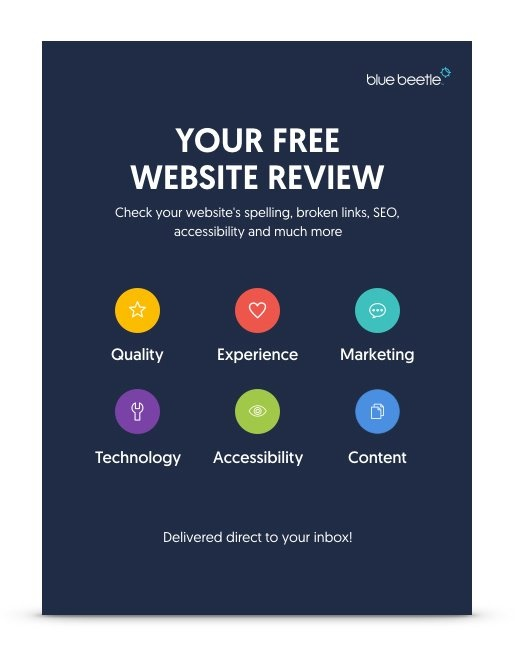 To get around this issue, you want to make sure that you are supplementing your marketing efforts with professional support, like what you get from Blue Beetle. We specifically focus on the restaurant and hospitality industries and know about all the marketing tactics that will keep your hotel booked year-round. In addition, we can look at the data you provide to see areas of success and improvement.